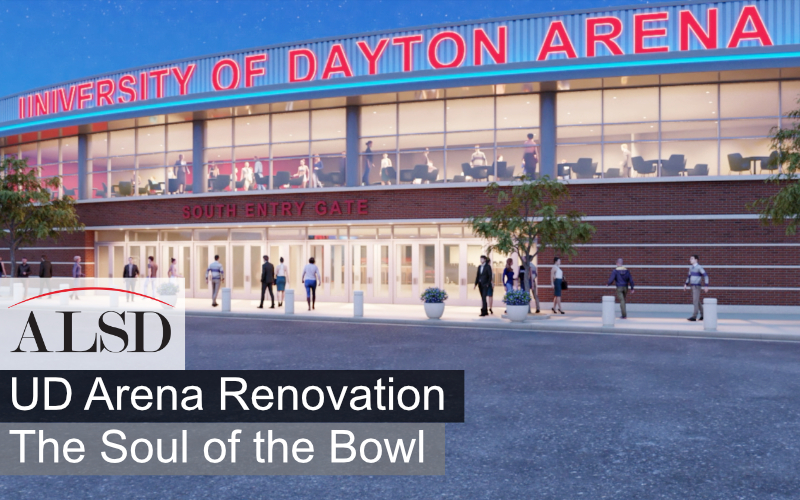 The three-phase, multi-level renovation to the University of Dayton Arena includes innovative products that complement a growing premium portfolio. Courtney Long, Director of Ticketing and Premium Seating at the University of Dayton, illustrates the new premium products coming soon to the University of Dayton Arena, currently undergoing a $75 million renovation. The addition of new club seats at midlevel locations associated with two new club lounges, as well as four terrace suites in unique locations complement existing premium inventory and provide Dayton Flyer fans with improved entertainment options during college basketball games, including the NCAA First Four. Fans can also anticipate food and beverage upgrades, including an opportunity to shape the menus in the new club lounges, located in the east and west wings of the arena.